Tags: Alex Daniels, Children's palliative care, education, Hospices of Hope, ICPCN, Krebsallianz, Moldova, School of Public Health, and training. 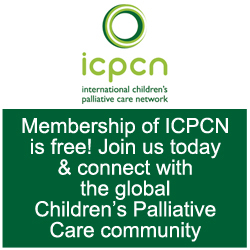 Last week Alex Daniels, ICPCN’s Education Officer represented the International Children’s Palliative Care Network (ICPCN) at a children’s palliative care (CPC) training workshop held in the city of Chisinau. It was her first visit to the capital city of Moldova, a country with a population of just over 3.5 million situated between Romania and the Ukraine. She has written the following report for ehospice. The workshop was one of two 3 day training sessions made possible by partnerships between Coram Deo, Krebsallianz, the School of Public Health, and Hospices of Hope Moldova, Cancer Institute and ICPCN. 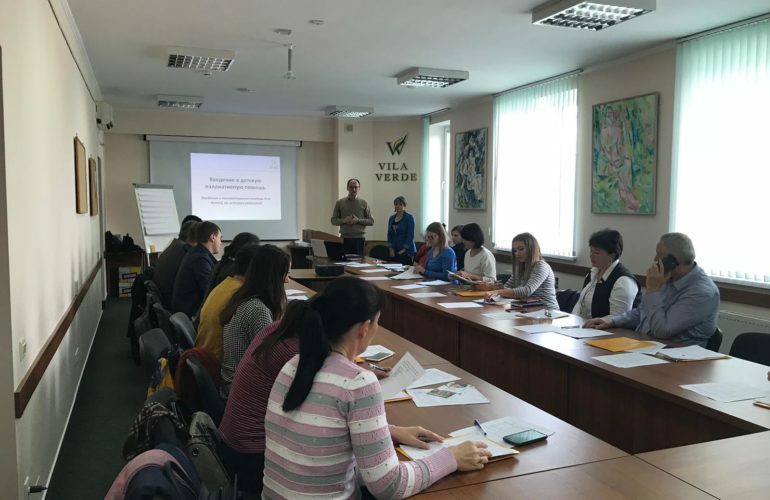 The training workshops were facilitated by Dr Pavel Burykin, Board Member of ICPCN and Paediatrician at the Belarusian Children’s Hospice and Maria Dyakova a trained nurse, doctor and physical therapist with many years of experience in CPC in Moscow. The course aimed to increase participants’ understanding of the general principles and practice of CPC and a range of relevant subjects were discussed during the three day training sessions. 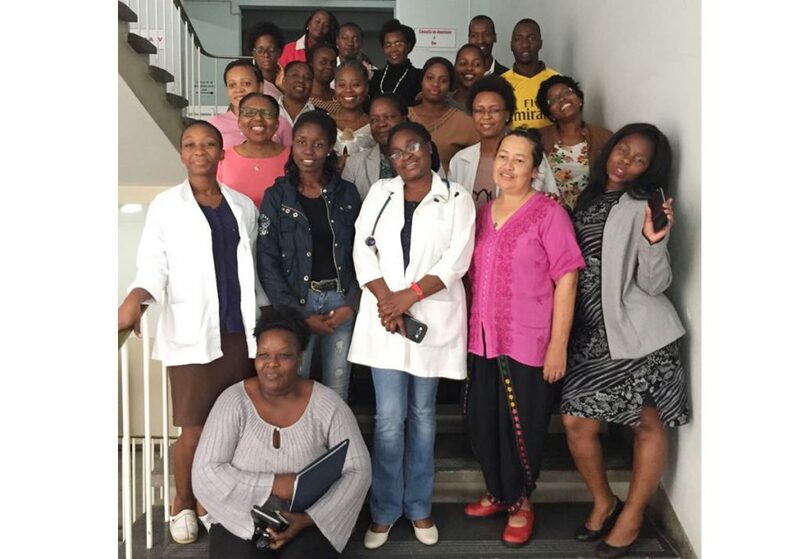 In the week prior to my visit twenty three participants from Hospices of Hope attended the first training workshop held at the Institutul Muncii (Labor Institute). The group comprised of 6 doctors, 6 nurses, 6 social workers and 5 psychologists with some experience of working within the area of palliative care with adults though exposure to children was limited. Despite the challenge of travelling long distances in order to get to the training venue, participants remained committed and enthusiastic about the training. Early on a sunny October morning in Chisinau, facilitators and organizers prepared for the second training workshop at the Hotel Vila Verde. The comfortable conference room quickly began to fill up with mix of twenty two health care professionals from Cancer Institute and Mother and Child Institute: this time distribution differed somewhat with 14 doctors, 5 nurses, 1 psychologist, 1 teacher and 1 health administrator. Most of these professionals worked with children but exposure to and knowledge of children’s palliative care was limited. Thanks to hosts, Vladimir Cerbov of Coram Deo and Fiona Bewley from Krebsallianz my very brief visit to Chisinau exceeded expectations in that I was able to get a real sense of both city and semi-rural life and meet some special people too. Sasha (Coram Deo) drove us out of Chisinau and headed in a northerly direction down potholed roads lined with trees covered in beautifully coloured autumn leaves and, after about 90 minutes, we arrived in the remote village of Oxentia. I was told a bus from Chisinau arrived every fortnight to transport residents to the city. Accompanied by one of Coram Deo’s local partners we visited four families who have been jointly supported by these organizations over a period of time. During my visit I was exposed to the impact of poverty on health, challenges related to accessing care for children with disabilities, the reality of gender based violence, caregiver burden and unresolved grief issues. Despite the reality and challenges of daily life, caregivers persevered and provided best possible care to their loved ones. Later that day, back in Chisinau, Dr Julia Colesnic showed me around the Paediatric Haematology ward at the Cancer Institute where children from all over the country received their treatment. I was impressed by the work of Krebsallianz in making cancer treatment possible for many Moldovan children and adults. 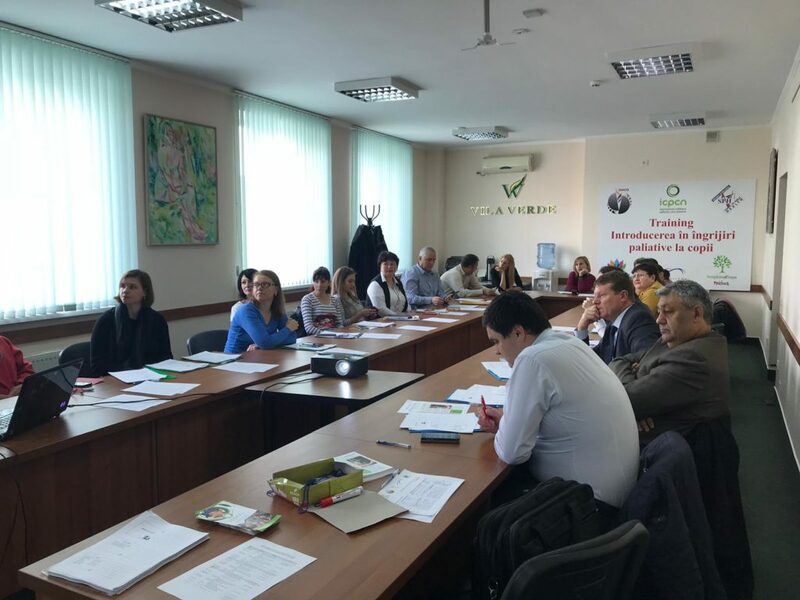 The two training workshops were successful in that forty five health care professionals were provided with an introduction to CPC but moreover decision makers in the healthcare system have been hooked and demonstrated their commitment to the development of CPC in Moldova. 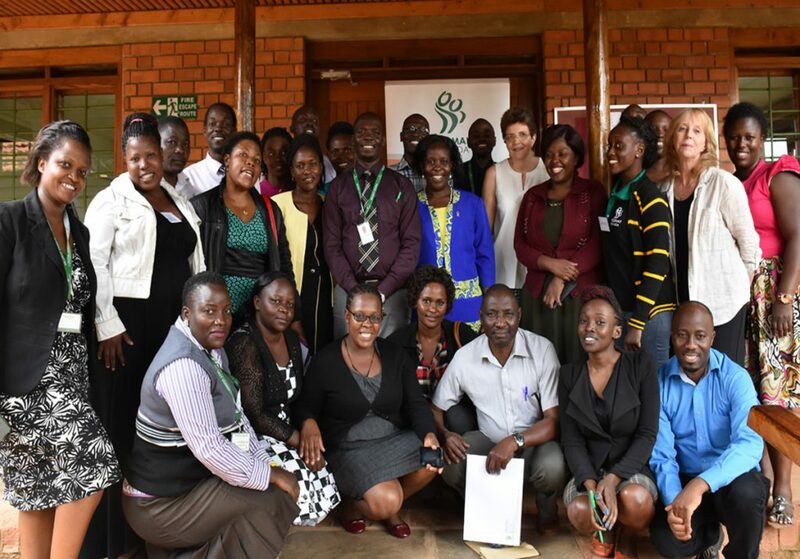 Hospices of Hope have agreed to not only play a pivotal role in supporting participants through follow up and mentorship, thus ensuring theoretical components of the training are transferred to clinical practice but also to expand training to their mobile teams. The support of the School of Public Health is critical in developing CPC further in the country. 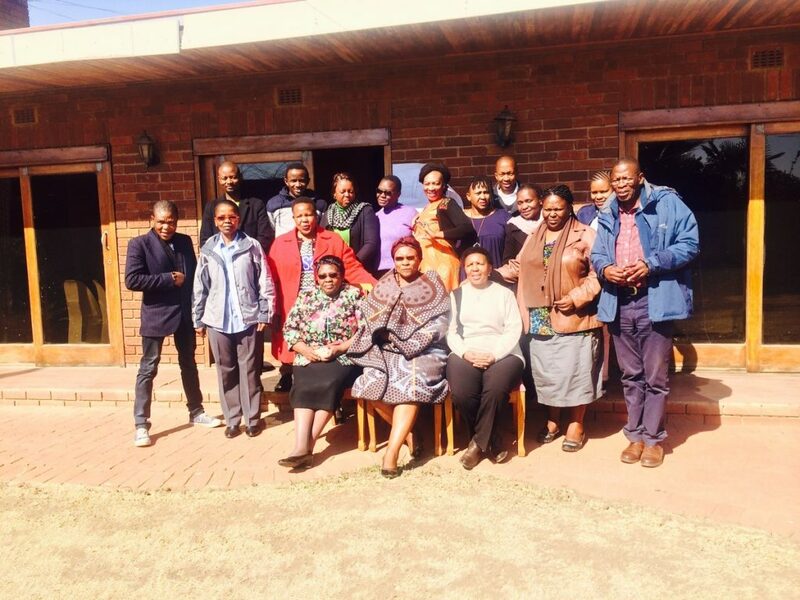 Following the training, the Ministry of Health sufficiently impressed with the workshops made personal contact with our local partners to express gratitude for the training and its contribution to palliative care in the country. This is a very exciting time for CPC in Moldova as the quality of life of children and families with life- threatening can life- limiting conditions across all regions of Moldova can only improve.